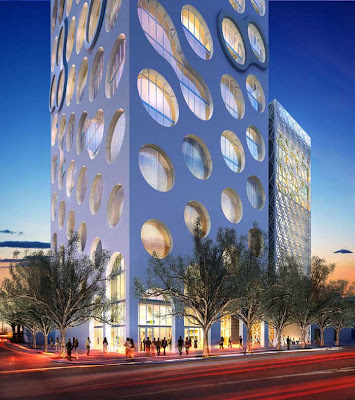 COR, the first sustainable, mixed-use condominium in Miami, Florida represents a dynamic synergy between architecture, structural engineering and ecology. 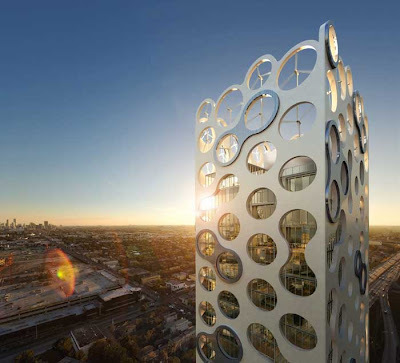 Rising 400’ above the Design District, Cor extracts power from its environment utilizing the latest advancements in wind turbines, photovoltaic’s, and solar hot water generation – while integrating them into its architectural identity. Here Chad Oppenheim discusses the project and various core concepts of sustainable architecture.